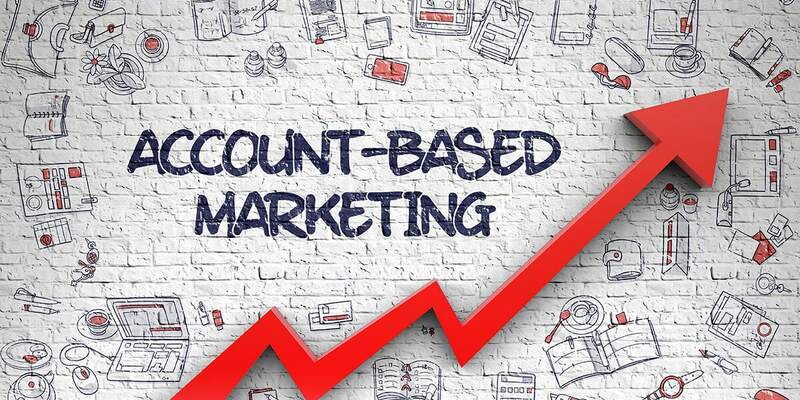 Account-based marketing (ABM) has gained increased adoption in recent years with rising competition in the B2B technology and services sector. According to a 2017 ABM Benchmark Study, 87% of marketers consider ABM to provide higher ROI than any type of marketing. However, getting it right is a lot of hard work. You need to figure out the right accounts to target, establish connections with the right stakeholders, and pursue them patiently without looking spammy. Based on our experience working with some of the smartest marketing teams, we’ve put together some effective methods to help you get the most out of your ABM program. 1. Identifying the right prospects: Not all prospects are a good fit for what you sell. Reaching out to prospects that are a poor match for your business is a waste of marketing time, money and effort. That’s why it’s important to do your research before pinning down the right accounts and stakeholders for your ABM campaign. One of the most difficult and time-consuming aspects in ABM is, in fact, identifying the right prospects for your offering. It requires in-depth research and analysis on the focus geography, industry, market, company, and stakeholders. You need to know the key markets for your offering, which companies are most likely to benefit from it, assess the company’s size, revenue, growth, etc., and identify the key decision makers. Using this information, marketers can then decide whether it’s worth going after a particular account or not. A lot of companies rely on leads generated through their websites. In fact, post the GDPR rollout, many companies rely on old data or website form data for their marketing initiatives. This comes at the cost of losing out on high-value accounts. The key is to gather account data using compliant methods. GDPR-compliant companies, such as Netscribes, use transparent and reliable approaches for profiling B2B prospects so that you can connect with relevant leads without breaking the law. 2. Studying stakeholder needs: Understanding your prospect’s industry, business function, goals and challenges can go a long way in determining how to best meet their requirements. This helps in channeling your marketing efforts in the right direction, as well as, making sales conversations more effective. Understanding customer needs, however, is a top challenge that B2B marketers face. That’s why a lot of companies are leveraging quantitative and qualitative approaches to get a closer understanding of their needs, investment priorities and preferences. It also helps to know who your competitors are and how they package their offerings to help you formulate better counter-strategies. Furthermore, combining primary research with secondary sources of information such as press releases, news websites, and social media can provide deeper insight into your prospect company’s goals and the key stakeholders. 3. Personalizing marketing messages: We live in a noisy world, constantly bombarded with marketing messages. Text messages, social media, websites, emails… they’re everywhere. Studies show that the average consumer receives up to 10,000 marketing messages a day. Attention spans are consequently declining. It’s hard enough to get them to listen to you, let alone make them interested in your offering. How do marketers make their messages stand out and drive action? The key is to really know your customer. According to Hubspot, 82% of prospects prefer content that’s relevant to the industry they work in. By tying relevant market insights with prospects’ pain-points marketers can create compelling campaigns that also add value. The next step is to know what kind of content your target audience prefers to ensure your messages don’t get missed. The answer to this lies in knowing where your prospects are in the marketing funnel. If you’re reaching out to a prospect for the first time: If you’re reaching out to a cold lead, you’ll want to create brand awareness while building credibility. B2B marketers can achieve this by creating thought leadership content that offers insight into addressing problems specific to their prospect’s industry, market or job function. If the prospect is aware of your company: Perhaps, the lead came through a download or has interacted with your sales team in the past. In this case, create content that explains how you solve problems similar to what they might be facing, such as case studies. Once the prospect is past the consideration phase, content in the form of customer reviews, testimonials, and battle cards can increase your sales team’s chances of closing the deal. Finally, choose the best mode for distributing content. Studies show that email works best for B2B marketing campaigns. Use it to your advantage to personalize messages and distribute relevant ABM content such as blog posts, case studies, and white papers. A lot can go wrong in managing ABM programs, given the overwhelming amount of responsibilities involved. That’s why, Netscribes supports marketing teams by providing reliable account data, information, and insights, and creating tailored content specific to your prospect’s needs. As a result, marketers can focus their effort on identifying new opportunities and earn better ROI on their ABM programs. Want to know more about how you can achieve better results from your account-based marketing programs? We’d love to hear from you. Write to us at [email protected].